This campout is for teens only (7th grade and up and TLTs) and their staff. 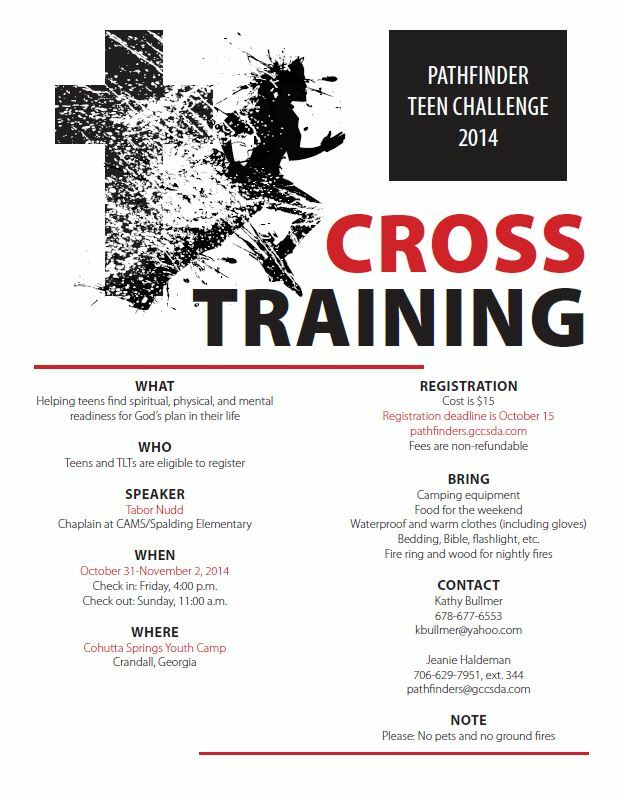 The activities planned are cross training as it relates to spiritual, physical and mental readiness for God's plan in the life of a teen! Please sign up as soon as possible, We must know by Tuesday, October 6, 2014 at 8 PM.